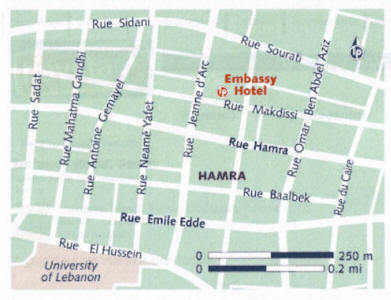 The Embassy Hotel , Hamra, Beirut is located a few minutes drive (10 to 15) from Beirut Rafic Hariri International Airport. You'll surely enjoy a family-like stay in this charming and peaceful hotel! 2-From Airport, port, or motorways.